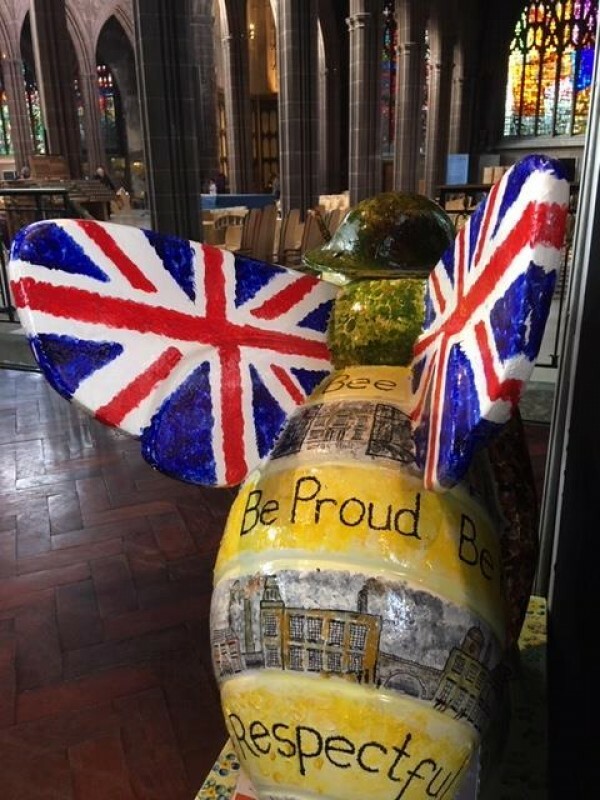 Manchester Cathedral is commemorating the centenary of World War One with one of the city's famous bee art installations. 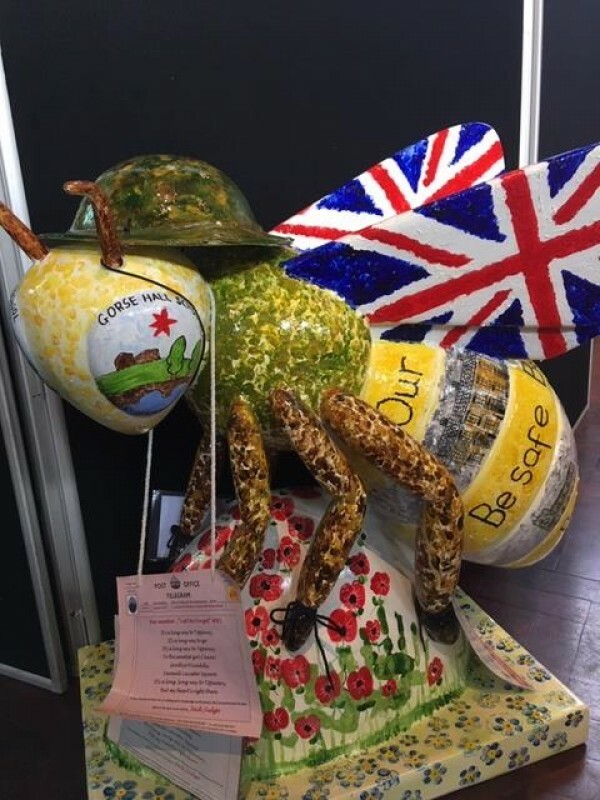 The Little Bee named Bee-member: Lest We Forget will be exhibited in the Regimental Chapel, the largest chapel in Manchester Cathedral which houses remembrance books and regimental colours of the Duke of Lancaster's Regiment. 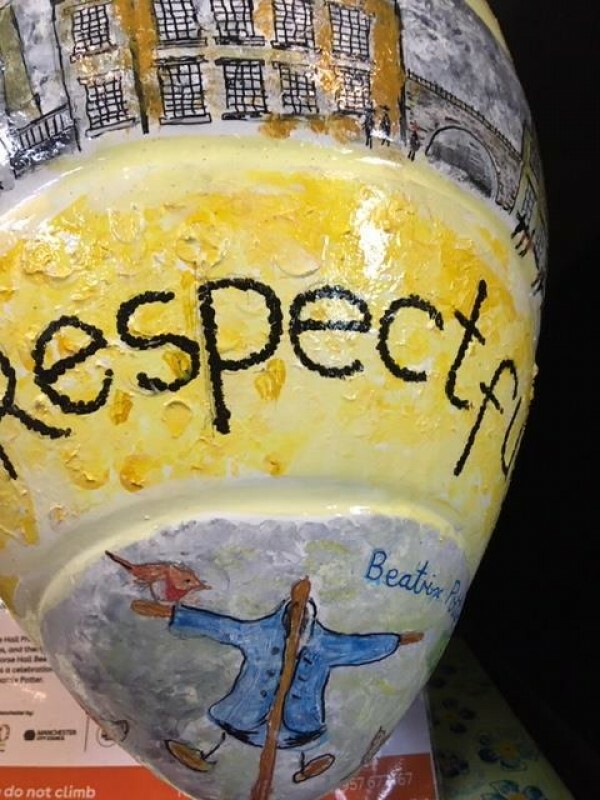 The bee was designed by children from Gorse Hall Primary School in Stalybridge which took part in a competition to design the final piece. The seven selected winners worked together to design the bee, taking inspiration from local heroes LS Lowry and Beatrix Potter alongside more traditional symbols of remembrance as a tribute to fallen servicemen. Bee-member also features the lyrics of It's A Long Way To Tipperary. The wartime classic was rumoured to be the result of a five shilling bet by Stalybridge music hall entertainer Jack Judge in 1912. Bee-member: Lest we forget will be on display in the regimental chapel until 19 November.